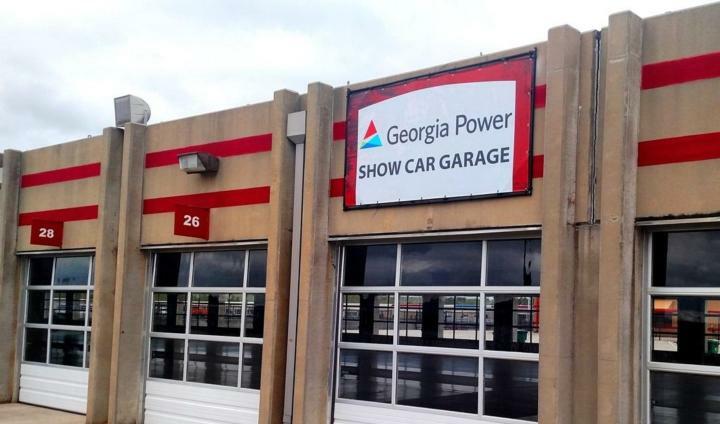 Atlanta-based Georgia Power has partnered with Atlanta Motor Speedway to sponsor the Show Car Garage at this weekend's 5th Annual Summit Racing Equipment Atlanta Motorama. Anchoring the yearly celebration of anything with an engine, the Show Car Garage turns the track's Monster Energy NASCAR Cup Series garage into a hub of activity throughout the weekend, filled with several of the country's most unique and prestigious award-winning custom vehicles. This year, the Georgia Power Show Car Garage is highlighted with six of the esteemed Great 8 vehicles from the 2018 Detroit AutoRama. Considered the best new custom-built vehicles in the nation, the Great 8 are the final eight vehicles judged to be eligible for the coveted best-in-show "Ridler Award" at the annual auto show in Detroit. Among the Great 8s slated to be on display in the Georgia Power Show Car Garage, vehicles include a 1934 Ford pick-up, a 1936 Pontiac Sedan, a 1956 Lincoln Continental Mark II and a 1967 Chevrolet Camaro. Promoting its drive to save its nearly 2.5 million customers money on their monthly energy bills, Georgia Power is teaming up with Atlanta Motor Speedway to bring awareness to improved energy-efficient practices and maximizing energy savings at home. Georgia Power encourages customers to find even more ways to save by accessing energy-saving tools and resources online at GeorgiaPower.com/Save, including hundreds of easy energy tips, a free online energy checkup and a variety of rebates and incentives for both homes and businesses. The company also offers customers a single, convenient online portal featuring the most popular energy saving and smart home products, such as LED lighting and smart thermostats, at GeorgiaPowerMarketplace.com. The Summit Racing Equipment Atlanta Motorama kicks off at 9 a.m. on both this Saturday and Sunday, and admission is only $12 per day. Children ages 6 to 11 will be admitted for $5, and those aged 5 and under will be admitted for free. Camping at the speedway is available during the event, and full hook-up and dry camping can be reserved for the weekend. For more event information and to purchase tickets, visit www.atlantamotorama.com or contact the Atlanta Motor Speedway ticket office at (770) 946-4211 or (877) 9-AMS-TIX.